What's wrong with being both glam and smart? Apparently, lots of folks on social media don't like the lethal combination. Poor Fox TV's Megyn Kelly can't find a break these days. People took to Twitter last night to poke fun at the blonde newscaster's overly LONG LASHES. Oh, brother. So, you can't be both smart and pretty? How ridiculous. Leave Megyn Kelly alone! Most women on TV DO wear faux lashes for extra definition to eyes. If TV titan Oprah can wear false lashes, then why can't newscaster Megyn Kelly put them on?! By the way....we are NOT taking political or TV network sides here. We think there's some jealousy going on. Wish we knew the brand Megyn was wearing last evening, but we do not. But...here are some great lash fakes to try on. These are super popular and cost only $4! 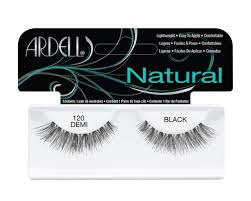 ARDELL Natural Lash - Black 120, found here at ULTA. The beauty of keratin is in its wonderful healing properties. Keratin is found in your hair, skin, nails and teeth. Our hair strands are made of these protein fibers. And when your keratin composition is depleted or weakened, your hair, skin, nails and teeth, can show the difference. That is why we have all heard about the importance of getting enough protein in our diets. Without it, there is dullness, split ends, hair breakage, hair loss and other ugly results. Keratin in shampoos, conditioners + leave-in treatments all NOURISH hair with body-building ingredients that effectively repair damaged locks, protecting against further breakage and adding shine and elasticity to every strand. 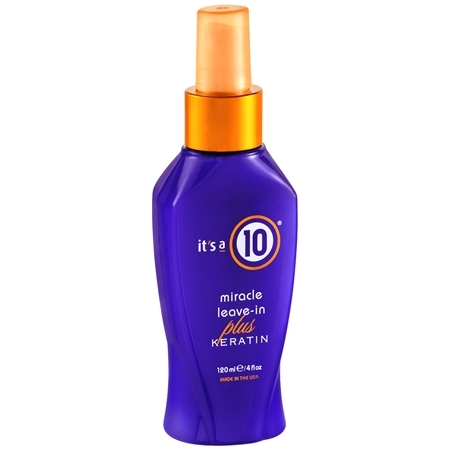 it's a 10 miracle leave-in plus keratin 4 oz. Okay, a bit pricey at $21, a bottle, found at Walgreens + $20 at ULTA, but we did some hunting and found the same ounce bottle for just 12.52 + FREE shipping at Amazon! Yes...we just purchased a bottle there. We're going to try this. We have been using a keratin-enriched shampoo--Keratin Smooth by TRESemme for the past 2 weeks and it has helped tremendously. The ONLY downside to keratin products is the TOO flat appearance it can give. 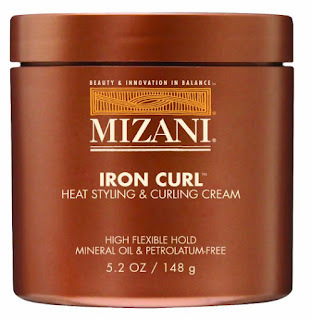 It does a SUPER job coating strands with healthy protein, but can make hair almost too sleek. However, you can add other volumizers to boost height. 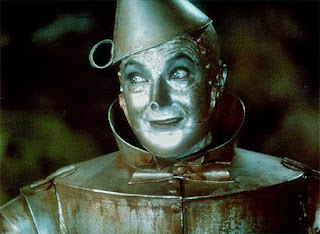 You remember the iconic SILVER Tin Man in the classic "Wizard of Oz" movie? 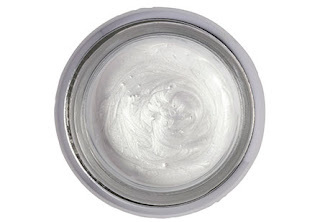 Well, this incredible beauty product reminds us of the smooth silver essence he symbolized. 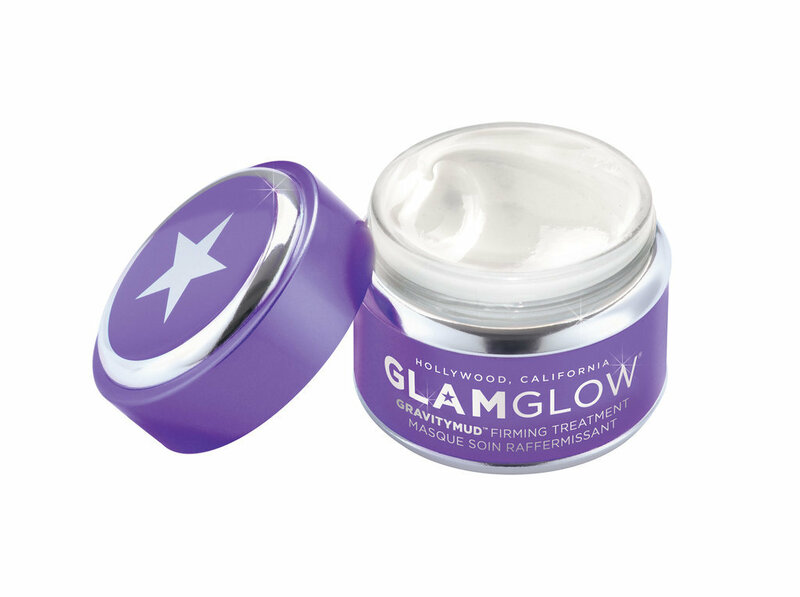 This new GravityMud face mask by GlamGlow is a firming treatment, and we like that! 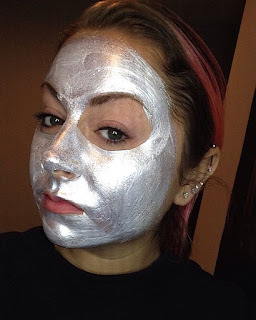 How amazing this "Tin Gal" appears wearing the mask. We found her modeling the mud at the GlamGlow website. This futuristic face mask is NOT cheap. Try $69 a jar! Lions,tigers and bears....Oh, my!! We would LOVE to try the GravityMud mask....but the price is keeping us in the pale, so to speak. Alpha Hydrox's 14% Intensive Glycolic AHA Serum Less Than $20 And Works Great! A super complexion is ALWAYS something to shoot for. It requires careful thought + proper products to achieve a smooth, clear texture and radiant glow with the diminishing of fine lines + wrinkles. We work hard daily to improve our complexion, and we are still NOT satisfied. No matter what cost + type of beauty products you use, results come S-L-O-W-L-Y. You MUST be patient. And that is not easy for any of us. We are a Retin-A user and like to switch it up between Vitamin C serum + Glycolic Acid treatments. Today, we are suggesting this wonderful, cheap skin care product found in your local drugstore for LESS than $20. The texture feels + looks like water, but don't let its consistency fool you. This alpha hydroxy acid (glycolic) is a solid 14% in potency. Easy to use, too--- under make-up or at night with a moisturizer. It stings a bit when applied, but we know the glycolic acid is working. The pH level is a 4, so it is not TOO strong or damaging to the complexion. This AHA serum keeps you acne-free, allows skin to glow and exfoliates nicely. Plus, it feels GREAT on your face + neck. We are using it right now about 3 times per week. We give Alpha Hydrox' 14% Intensive Glycolic AHA Serum the beauty thumbs up! At LESS than $20, what have you got to lose? Lip Liner Necessary? Some Makeup Experts Say, Yes! We NEVER wear it, but we will buy a couple of these soon to try them out to fill in our entire lips. 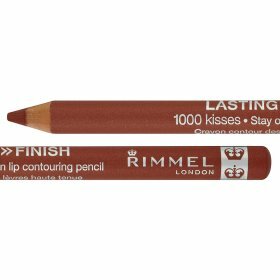 We are sure that a good number of you reading this beauty post DO enjoy applying lip liner BEFORE putting on gloss or lipstick. Many professional makeup artists believe that lip liner defines your mouth flawlessly, helps you fill in lip irregularities, and allows you to look even more amazing in photos or on video. We found it at ULTA. 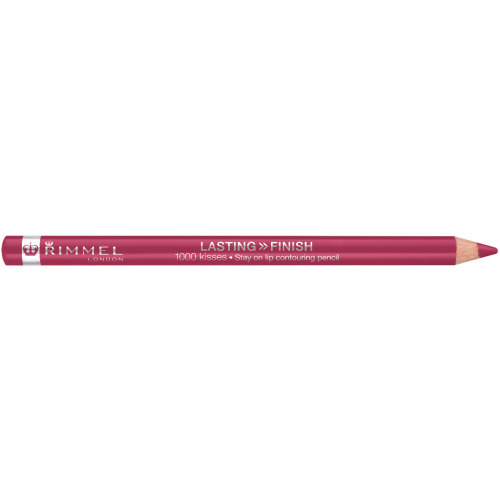 Plus, this lip liner comes in 12 pretty shades, like Indian Pink + Tiramisu. Plus, you can watch this YouTube demo by Huda Beauty for some sensible lip lining advice. Khloe Kardashian is killin' it with her sassy, curve-hugging style and her gorgeous, curly, voluminous do! The youngest K sister is in New York City to promote the start of her new television show, "Kocktails with Khloe." She's painting the town RED in that HOT cherry-colored dress. She wore that look at an appearance this morning on "Live! with Kelly and Michael." And the BUZZ is on Khloe's super curly, big hair. She looks fab! To COPY Khloe's glam hairstyle, you need 2 things---- a curling iron + Mizani styling product. Her stylist Cesar Ramirez used both to achieve her high glam look. 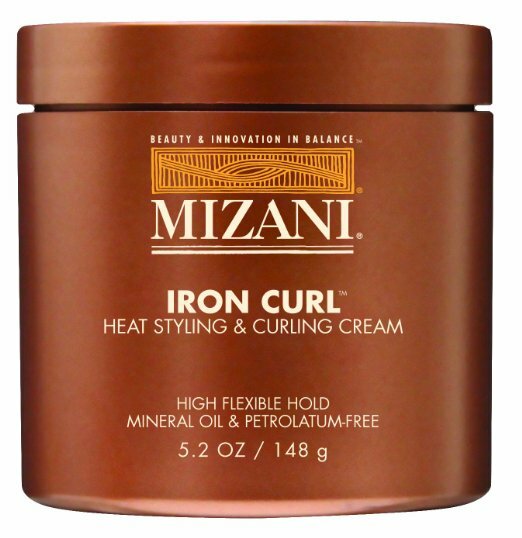 We suggest Mizani Iron Curl Heat Styling and Curling Cream ($10.48, at Amazon.com). We give Khloe's big hair a big thumbs up! Maximum coverage and a loose comfy style. That's what the duster coat delivers to every woman's silhouette. And maybe that is why fashion's most stylish reality TV star has worn the duster coat out + about through both pregnancies. Kim Kardashian has made the duster coat one of her signature style pieces. She has worn them in just about EVERY color, fabric + length. You don't have to be a super tall, super skinny model to look fab in a duster coat. It works for ALL figure types. Kim K is short + curvy at 5'3", and she looks AMAZING in the duster coat. Want to COPY Kim's look? It's great for the winter months, depending on the fabric weight, but the duster coat doesn't have to be ONLY outerwear. It looks lovely as a long blazer. We found a bunch of duster coats here for CHEAP at BooHoo.com. Do you ever wear NYX Cosmetics? WE ADORE this brand of makeup, because it's affordable, a lovely range + variety and quality made products. This gorgeous makeup can be found at Target, ULTA and a number of other stores, Plus, you can order straight from the NYXCosmetics.com website. Girls are buzzin' about NYX's brand new Lip Lingerie line, featuring a dozen, color-kissed nudes. These are soft + stunning. And the best part of all-----These are just $7 a tube. They go on smoothly and feature a unique, weightless liquid lipstick with a plush matte finish. Once this baby dries on your lips, it STAYS there, until you take it off several hours later. Lip Lingerie is a good thing for 2016. 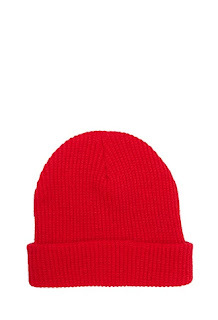 Copy Taylor Swift's Adorable Red Ribbed Wool Boyfriend Beanie for $4! Superstar Taylor Swift LOVES wearing beanies. And she looks totally chic + glam when she dons one. There she was in L.A. yesterday, laid back and spotters claim heading to the gym following New Year's Eve merrymaking with main squeeze Calvin Harris. Taylor is wearing a red ribbed, wool boyfriend beanie. And we've seen her in it once before in Paris. You can COPY Taylor's look for $4!!! We found a great dupe at Forever21 in the men's department. Will you COPY the Taylor Swift boyfriend beanie? Has your eye makeup ever betrayed you, ladies?! By that we mean, have you suddenly developed an irritation, infection or possibly a sudden allergy to your favorite mascara, eye liner, eye shadow or even concealer? Well, we have occasionally, and at the moment, we can't tell which eye makeup product is the bad guy. We LOVE drawing in a signature cat eye EVERY day.....the winged eyeliner look achieved with eye liner in pencil form. 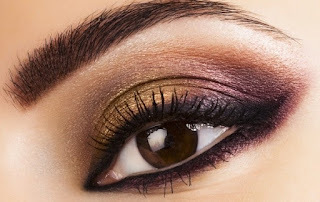 We also use a grey or brown eye shadow powder, 2 mascaras and yes, an under eye liquid concealer. Our irritation features itchiness + redness around the winged tip area where we draw in our cat eye. The rest of the eye area is fine. We also TEST OUT a lot of various skin care products for our beauty blog, so, the culprit could be ANYTHING. So...how often should we TOSS OUT our eye makeup to play safe? Do you follow these makeup standards? We're going to start from there, and see if that's causing the irritation. Have you ever developed an eye makeup irritation, infection or sudden allergy?